The current proposal extends the lower level of Cleveland Detroit Superior Bridge and turns it into a new territory. 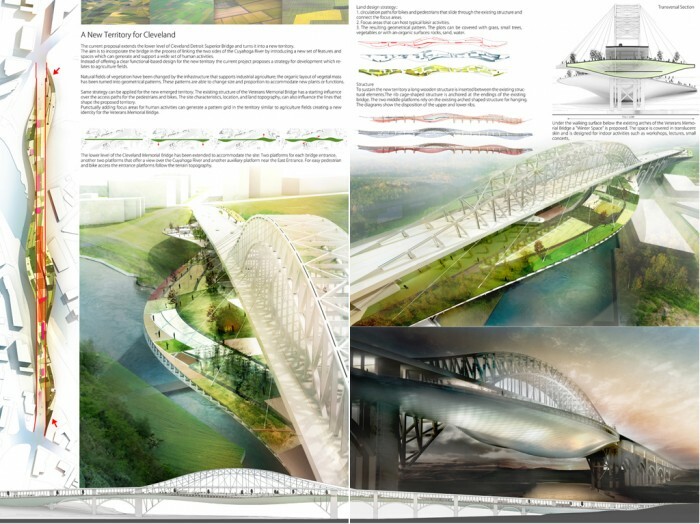 The aim is to incorporate the bridge in the process of linking the two sides of the Cuyahoga River by introducing a new set of features and spaces which can generate and support a wide set of human activities. 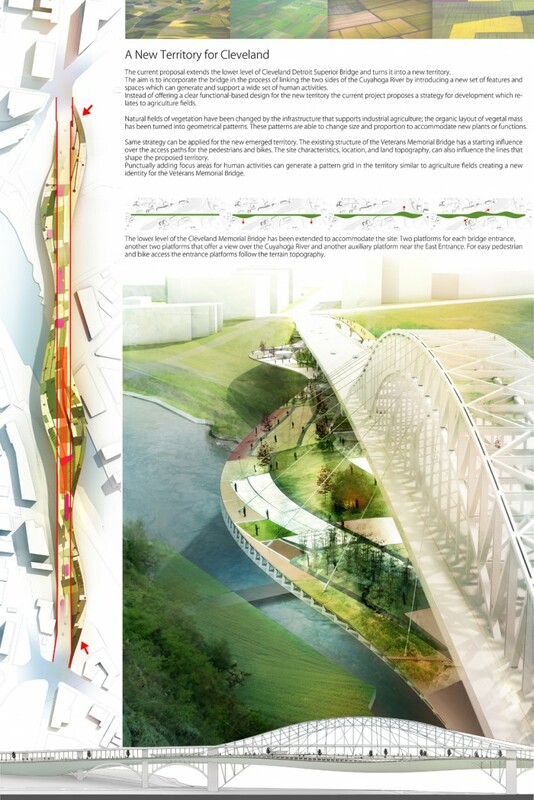 Instead of offering a clear functional-based design for the new territory the current project proposes a strategy for development which relates to agriculture fields. Natural fields of vegetation have been changed by the infrastructure that supports industrial agriculture; the organic layout of vegetal mass has been turned into geometrical patterns. These patterns are able to change size and proportions to accommodate new plants or functions. Same strategy can be applied for the new emerged territory. 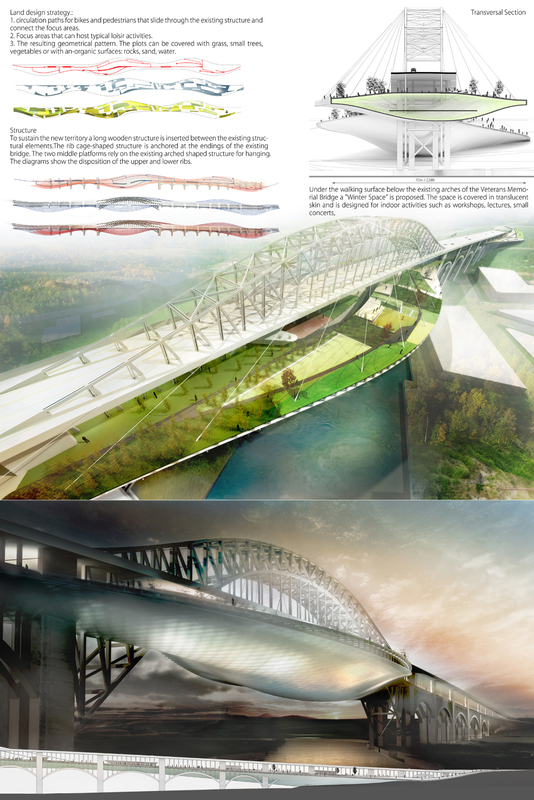 The existing structure of the Veterans Memorial Bridge has a starting influence over the access paths for the pedestrians and bikes. The site characteristics, location, and land topography, can also influence the lines that shape the proposed territory. Punctually adding focus areas for human activities can generate a pattern grid in the territory similar to agriculture fields creating a new identity for the Veterans Memorial Bridge.